After introducing a tiny Windows PC in April, Intel will roll out an Ubuntu version in the coming days. Intel’s Compute Stick now comes in more flavors than just Windows, Windows, and more Windows. A version of the Intel Compute Stick loaded with Ubuntu 14.04 LTS (long term support) will go on sale this week, according to Canonical. 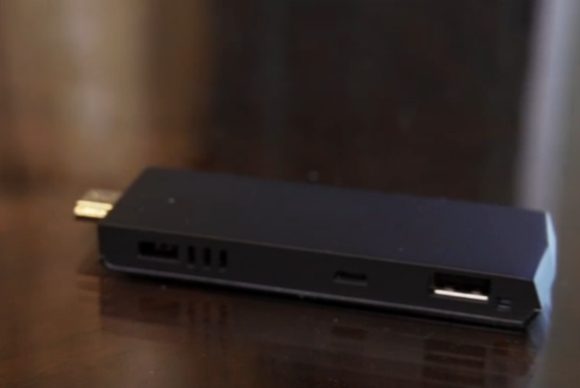 When the Compute Stick first launched in April, Intel said an Ubuntu version would follow. To be clear, this is not Canonical taking Intel’s reference design and creating its own version. 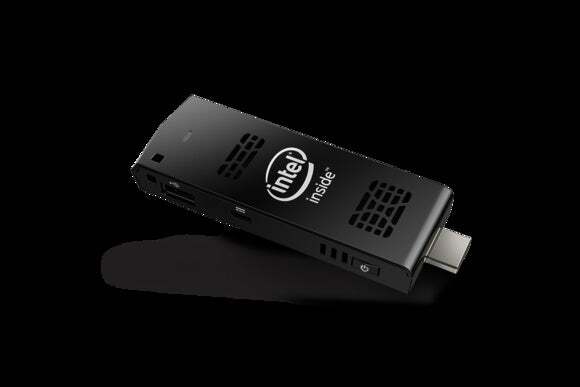 This is an Intel-branded device loaded with the popular Linux distribution. The Ubuntu-based stick is expected to be priced at $110, or $40 less than the MSRP for the Windows version. Best Buy currently has the Ubuntu stick listed at $100, but it’s not yet for sale, meaning the price may change. If you can pick it up for $100, the Ubuntu-based Intel Compute Stick will match the price of Archos’ PC Stick announced in late June. Archos has yet to release its device as the company plans to load the PC Stick with Windows 10, and Microsoft's new operating system won't debut until Wednesday, July 29. Intel's Compute Stick in the plastic flesh. Even with a matching $100 price, the Archos stick is still the better deal. With Archos, you get the same specs as Intel’s Windows-based dongle, while the Ubuntu flavor of Intel’s Compute Stick is comparatively underpowered. The Ubuntu version still has the same 1.33 GHz quad-core Intel Atom Z3735F processor, but comes with 1GB RAM instead of two and 8GB onboard storage instead of 32GB. All the extras remain the same, however, including 802.11b/g/n Wi-Fi, a single USB 2.0 port, micro USB for power, Bluetooth 4.0, and a microSD slot for more storage. Once you plug the Compute Stick into an HDMI port, you’ll also need a mouse and keyboard for the thing to be of any use. That said, a Compute Stick could make for a workable living room entertainment device if you want a PC with a minimal footprint. Just don’t count on doing any more advanced gaming than Candy Crush.